In this case, a brand new vacuum cleaner. Most people want to know, first hand, if the vacuum cleaner that they bought really does the job that it is expected it to do. Most people find their purchased vacuum cleaner to be satisfactory, easily giving you the convenience of keeping your floors and carpets clean. 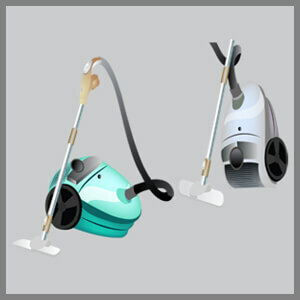 You also need to realize that a vacuum cleaner also has a limited amount of user mileage, resulting from prolonged use. The average lifespan or operational use of a residential vacuum cleaner can range from 3 years to 5 years depending upon the frequency of use. Most of the time, vacuum cleaner motors “seize up” due to overheating, considering the amount of electricity that it uses and the friction of the stator, the usual maintenance of a vacuum cleaner motor should be between 6 months to a year. Did you think that vacuum cleaner motors are maintenance free? Even though we had made leaps and bounds with the technological advancement in making these motors, we yet need to see a electrical motor that does not need any maintenance. How to know if there is something wrong with your vacuum motor? Well, first of all, the suction power is dramatically reduced, and the noise that your motor is churning out, seems to be louder than usual. Such occurrences clearly proves that something is wrong with your motor. Another symptom will be that of above average heat being emitted by the motor, which is an indicator of excessive friction. Friction usually is a normal state in which all electrical induction motors go through, and since the only thing that gives a small amount of resistive force that puts load to your motor is the air that passes through the air filtering system of your vacuum. Big deal, its just air you might say, but think of the amount of air that it needs to move, just to create the ample amount of workable suction power to pull out the dirt from your floor and carpet. You also want to consider the particles that build up within the confines of the air filter that slowly accumulates and produces added resistance to your motor. That is why you have to frequently clean out the accumulated debris collected in the filter itself. There is also the tiny particulates that manage to escape from the main collection compartment that ends up being sucked in by the motor’s stator. You think that these particulates are so small that it poses no threat to your motor? There is no such thing as a perfectly sealed motor and the deteriorating effect of these small particles can greatly contribute to the vacuum’s motor being damaged through the course of it’s lifetime use. Most 12 ampere vacuum motors need to consume an average of 1,200 to 1,400 watts of electricity to enable it to produce 30 to 40 pounds per square inch of suction. These motors use carbon brush contact points that go through the armature and into the magnetic wiring field to induce the motor to run (in the case of induction motors). The heat produced by the carbon brush contact points with the armature is normal even as ample amount of sparks are produced, much similar to that of power tools. Applying ample amounts of oil regularly on the location of where the ball bearings and the stator shaft meets is a good way of reducing the build up of friction. It is wise to know that factory standards of lubricants such as grease are put in the bearings prior to shipping them to the vacuum cleaner factories where they are assembled. The grease that was applied during the time that the motor was assembled tends to get used up like that of used cooking oil, that it eventually ends up causing damage to your motor. The grease tends to attract small particulates that act as “grinding compounds” that inevitably increase the clearance of the space between the stator shaft and the ball bearings, causing the stator to wobble in a microscopic manner. Imagine your motor wobbling in an almost unnoticeable way, but multiply that with 1,500 rounds per minute. If you continue to disregard this, the wobbling effect can dramatically increase through time, and you may end up repairing your motor or much worst…replace it with a new one, all because you did not bother to make preventive maintenance on your motor. Note: This article will only be dealing with preventive maintenance in order to extend your vacuum cleaner’s usability in order to serve you better. It is advised that if problems occur concerning the stator in being beyond irreparable, due to the growing gap between the ball bearings, it is more financially reasonable to replace it with a new motor. There are usually just two common types of vacuum cleaner motors that are used by manufacturers that they put inside their vacuum cleaners, the ball bearing type induction motors and the sleeve bearing type motors. Obviously you can not just take a screw driver and simply pry open your vacuum cleaner to see what kind of motor it could have, that will just void the warranty. It is suggested that you should only do this when the warranty for your appliance has already been expired and voided. The maintenance of these types of motors can be evaluated through defining the cause of the friction of the stator. Checking for signs of wobbling of the stator shaft can be done by first releasing the pressure that the carbon brush contact points are excreting on the stator. This can be done by releasing the spring that is pressing the carbon brush from the outside. Using a screw driver, carefully disengage the clips from the carbon brush, allowing it to let go it’s contact with the armature. You will now notice that the stator can be easily spun without much resistance from the carbon brushes. You can now proceed to check for any signs of apparent wobbling on the stator shaft. If you do not find any substantial signs of stator wobbling, good for you, your vacuum motor can still serve you for a longer period of time. As described earlier, the standard factory lubricant that came with your motor (usually grease), should be very dirty and pretty much used up by now. Applying an ample amount of degreaser (usually used for degreasing car engines of accumulated dirt), and letting it set in to allow it to remove the old grease from the stator. It is best if you repeat this process for about 3 times to ensure that the remnants of the old grease has been completely removed. After that, you should rotate the stator drive shaft to check if the grease has finally been dissipated in order for you to apply some anti-rusting lubricants suWD40. There are even cases that some technicians would apply engine oil additive like STP and letting it seep in for a while before applying some sewing machine oil to finish up the maintenance. A fair advice is that you should not use any grease for lubricating your motor because they tend to give the same grinding effect that the old grease can do. After that, you can now put the carbon brush contact points back in their proper place and finish up the job. Doing this type of maintenance for the next 6 months can very well extend the life of your vacuum cleaner, pretty much even beyond it’s serviceable requirement period. As so the same for all types of induction type motors such as electric fans and washing machine.